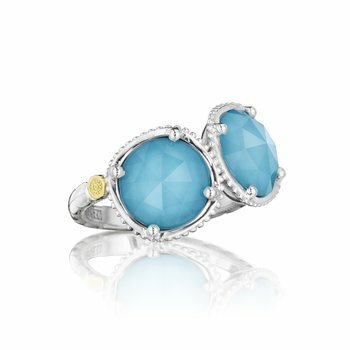 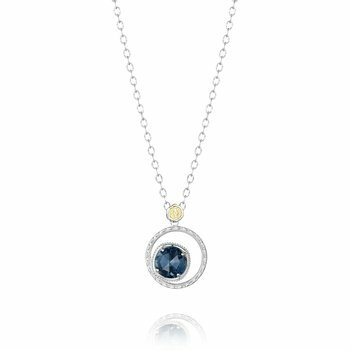 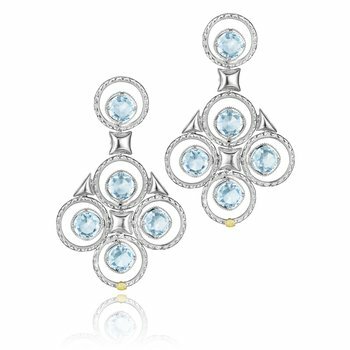 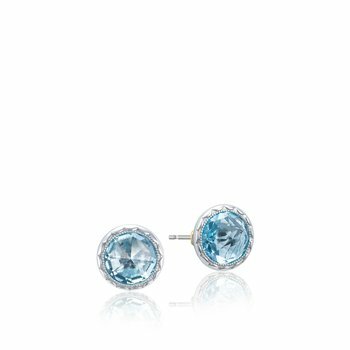 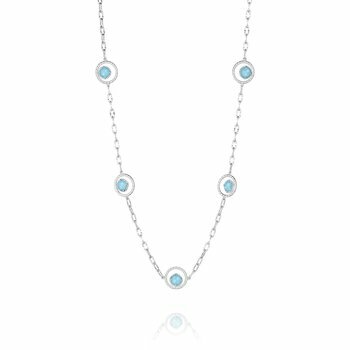 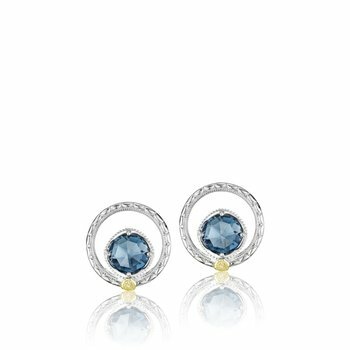 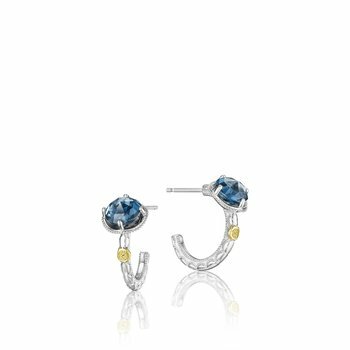 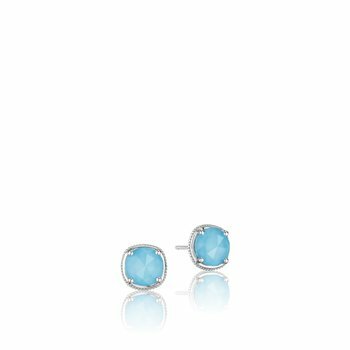 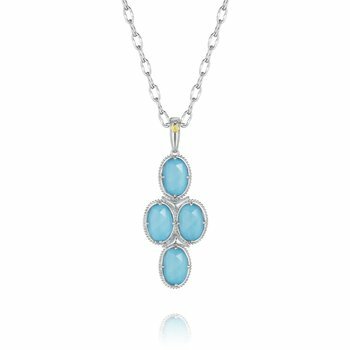 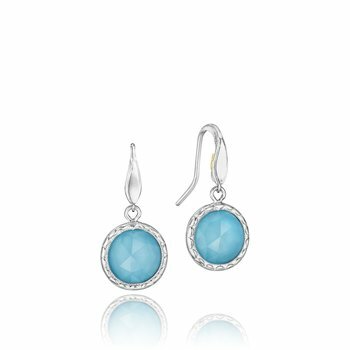 For the Tacori Girl looking for it all, this amazing Island Rains piece sparkles with not one, not two, but three different colored jewels! 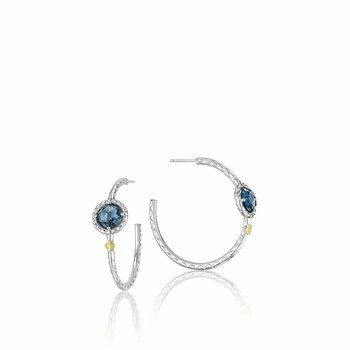 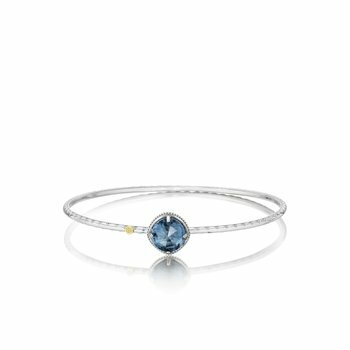 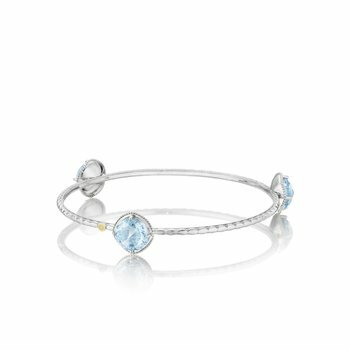 Make a bold statement with this striking cuff with Sky Blue Topaz, London Blue Topaz and Clear Quartz layered over Neolite Turquoise, together creating a clean expression. 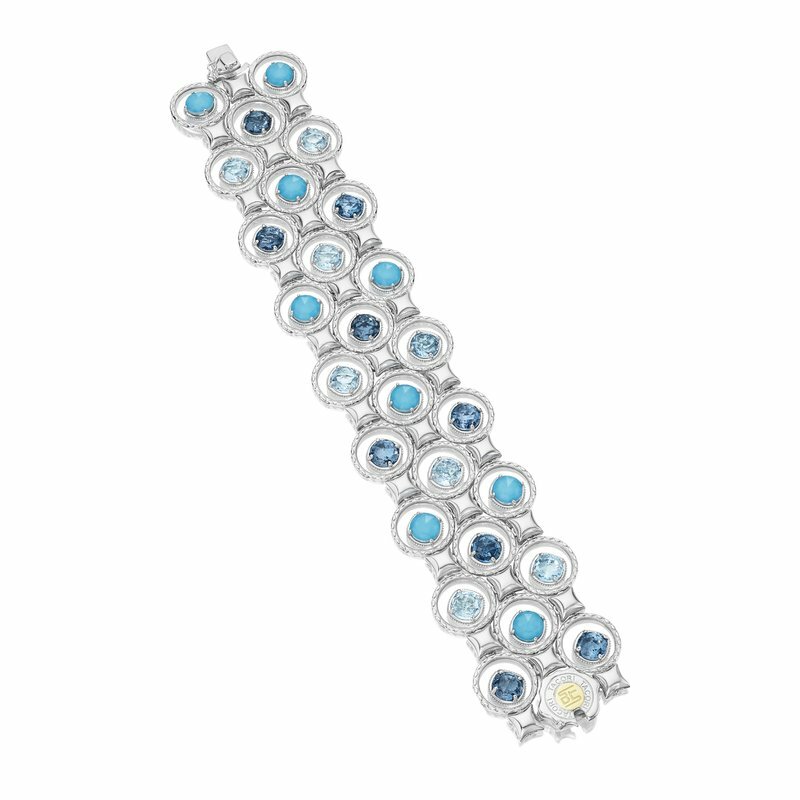 Hand engraved milgrain details add the finishing touch to this glamorous bracelet.